The Windows Phone Apollo upgrade, the next version of Microsoft's mobile operating system, will arrive by the middle of next year, according to a Nokia executive. Speaking to Engadget at the Nokia World Expo in London, Michael Halbherr, Executive VP for Location and Commerce, said the new software will be a "very different game" to the recent Mango offering. The blog took this as a hint that the awesomely-named Apollo upgrade will actually be a smartphone iteration of Windows 8, which promises to unify Microsoft's multi-platform offerings. Very little is currently known about what Apollo will offer Windows Phone users, although Halbherr also said he's been pushing Microsoft to include NFC technology. 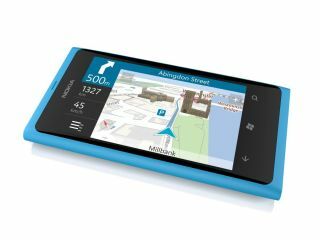 He also wants a "positioning framework" and better integration of Nokia's Navteq maps for new location-based services. The Nokia and Microsoft partnership finally bared its first fruit on Wednesday with the announcement of the attractive Lumia 800 and the mid-range Lumia 710.